starting your Divorce or Legal Separation in Colorado. This post describes the process once you have filed your Petition for Divorce or Legal Separation. Again, you may find the Petition and Case Information Sheet on the Forms section of our website. Canceling, modifying, terminating insurance coverage or allowing any insurance coverage to lapse. Again – these restrictions only apply in the event that the parties cannot otherwise agree and reaching a comprehensive Agreement in mediation is the most time and cost effective way to begin moving forward on all of these issues. The Initial Status Conference – This meeting with the Court is typically held six weeks after filing of the Petition. The purpose of this meeting is essentially a check in with the court to ensure that the divorce process is moving forward, including the exchange of your Sworn Financial Statement and documents required to be exchanged by the so-called Discovery Compliance Certificate (available from the Forms section of our website). Some counties allow for parties to avoid this Initial Status Conference in the event that all court required final documents are submitted prior to this scheduled meeting. One county in Colorado actually allows a meeting with a Magistrate at the Initial Status Conference to accept evidence for the finalizing of your Divorce. Your Split Simple mediator will be able to guide you through this part of the process and assist with submitting necessary documents to avoid this meeting or make this your only meeting with the Court. For Couples with Minor Children Together – You will need to attend the specific parenting after divorce class required by your filing county. Each county has their own list of approved classes so check in your case management order to determine the appropriate class for your county. Most counties allow for a 45 to 60 day period to take this class. A Colorado court must wait a minimum of 91 days after the Petition is filed before entering a Decree of Dissolution or Legal Separation. 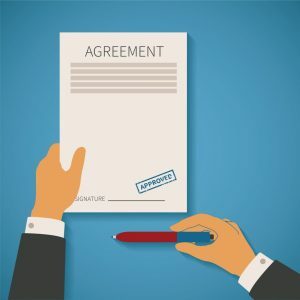 However, at any time after the Petition is filed, you and your spouse can create a legally binding agreement, also known as Separation Agreement or Memorandum of Understanding. Once both parties sign that document, each can begin to live under its terms, removing so much of the uncertainty that accompanies most divorces. Again, utilizing our focused mediation process at Split Simple will allow you and your spouse to reach a full Agreement, execute it and begin to live under its terms well before the end of this 91 day period. Split Simple will take you and your spouse through the entire Colorado divorce process, from the initial court forms to the drafting of all final court documents. Along the way, your Split Simple mediator is always available to answer any questions you may have regarding any court procedures or requirements. Importantly, we will help you reach an agreement in much less than the minimum 91 day waiting period, allowing you and your spouse to eliminate the toxic divorce conflict and begin to move forward in your lives.